Right, I'm calling it... officially my new favourite photo of the two of them. Mainly because I think it captures the true nature of their personalities and their relationship. You can just tell there is cheekiness going on by simply looking at them. And that tends to be the story of our days. The biggest smiles always come from a sneaky bit of mischief, and sneaky mischief always happens when they are together. I snapped these photos after they were having a particularly enthusiastic bed jumping session, which appears to be a new favourite thing for them to do, which is kind of annoying when you've just made the bed... for the fifth time that day. But the conspiratorial giggles and the shared naughty glances totally make up for the crumpled sheets and strewn pillows... just. 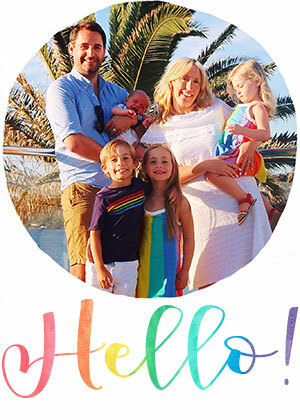 We're on that run down to the summer holidays, where we seem to be so so busy, but can see the days free of routines on the horizon and we're just chasing to catch them. I'm looking forward to spending some quiet days with this pair with no preschool, classes or work getting in the way; and I can't wait to spend some exciting days with them too. But right now some lazy days of cuddles and fresh air and hand holding and sunshine seem like a little piece of heaven! We love our routines, our naps, our bed time, our schedule... but the summer holidays are made for bending those rules a bit, and I can't wait. 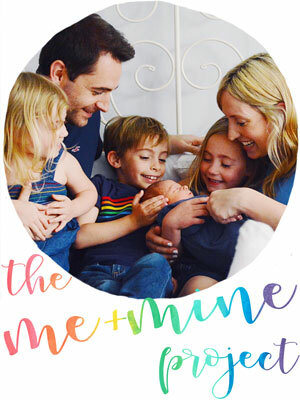 This month I am sending you to visit the lovely Amber over at Goblin Child where her gorgeous twin boys will no doubt be being adorable. Amber always takes the most beautiful photos of them, that seem to burst with character; you won't be disappointed. I can't wait until the holidays. No rushed mornings for 6 whole weeks!!!! I can see why these are your favourites, they are gorgeous. Such big smiles. We are on countdown until the summer holidays as well now, it's going to be bliss! Lovely cheeky smiles! I'm still catching mine jumping on beds and they're seven. What beautiful images of your gorgeous two! 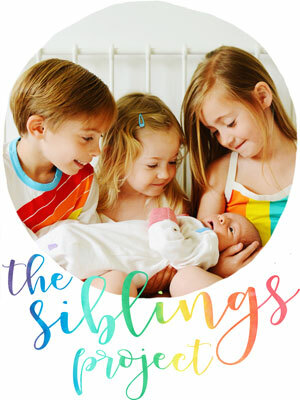 It's the first time I'm linking up to the #Siblings Project, but I'm hoping to be taking part every month, it's just so lovely. I aspire to your level of gorgeous photography of them. I still have a while to go, but I'm happy I get to document their bond nonetheless. I agree Lucy, I am going with you and saying these are my favorite photos of yours ever! Hard to say that as there is always so many but it really shows their love, their cheekiness, their happiness in in their beautiful smiles. It's such a precious thing to capture and jumping on the bed was always my favorite thing to do with my siblings too. What a great memory to have in your childhood. Thank you ever so much for hosting. Hope you enjoy your wind down to summer relaxing and fun and that the weather stays nice for yall. Missing you from the states. Lots of love. 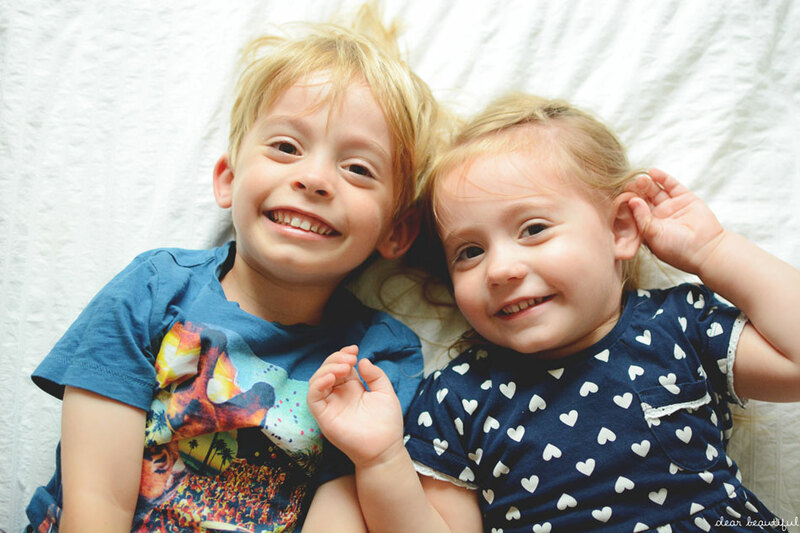 I can really see why these are your new favourites, they're so sweet and you can practically hear the giggles!! Fingers crossed for a smooth end of term and yay for long unplanned relaxed summer holidays! 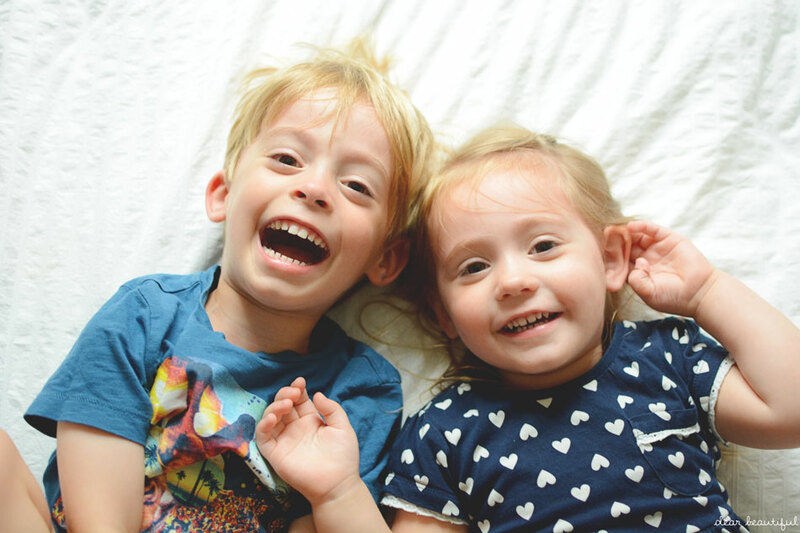 Love these joyful, cheeky shots of your beautiful two. You can almost tell that they've just been bouncing on that bed! Woo hoo summer days are here!! Lili breaks up at 1.30 today!! Gorgeous. I always wonder if you manage to snap such a perfect photo first time! Great shot as always. Such a pair of cuties! Gorgeous little ones as always. I am so rubbish I've missed 2 months, so complete update on my blog. Will try to keep up from now on!